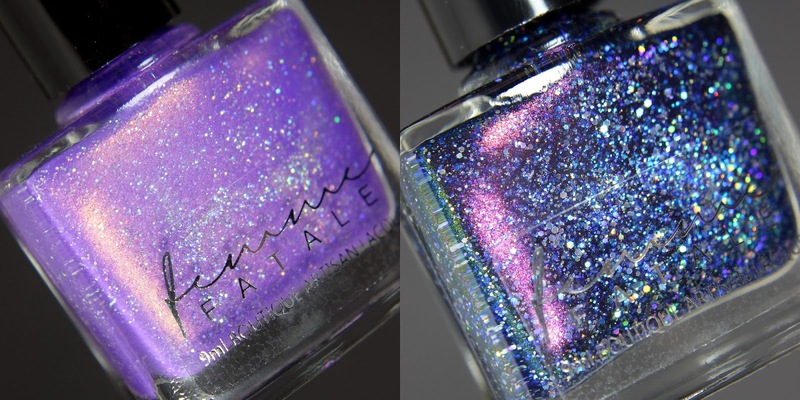 Today I will show you 4 Femme Fatale Cosmetics nail polishes, all of them are store exclusives at the indie webshop called Beauty So Fly, in Singapore. This collection is the first, that I just had to buy completely. I couldn't leave out any of the shades, so I grabbed all 5 colors at Hypnotic Polish. 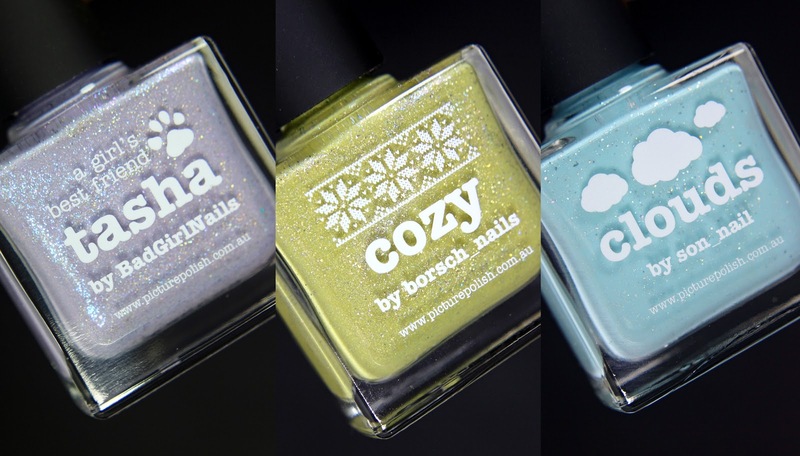 Vintage is the June POTM from Potion Polish. And it really reminds me of a worn-out wooden furniture painted in turquoise paint. 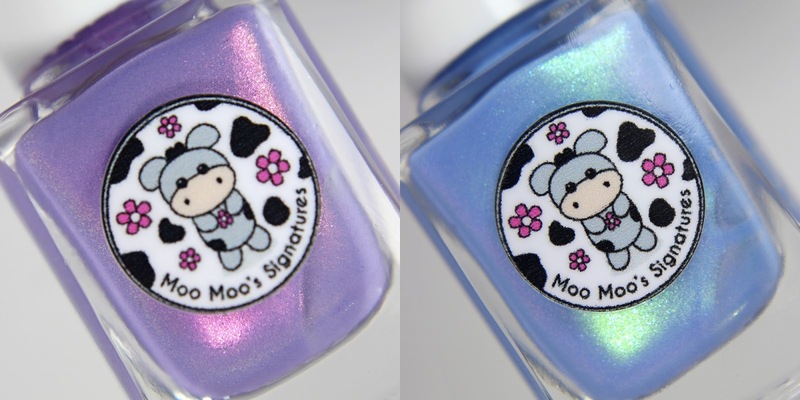 Today I will show you swatches of two Moo Moo's Signatures polishes that are store exclusives of Girly Bits website, therefore they are only available through girlybitscosmetics.com. International shipping is available! Cirque Colors continues their VICE line with another bunch of bright/neon cremes, and of course the holographic topper We Trippy made a comeback too. 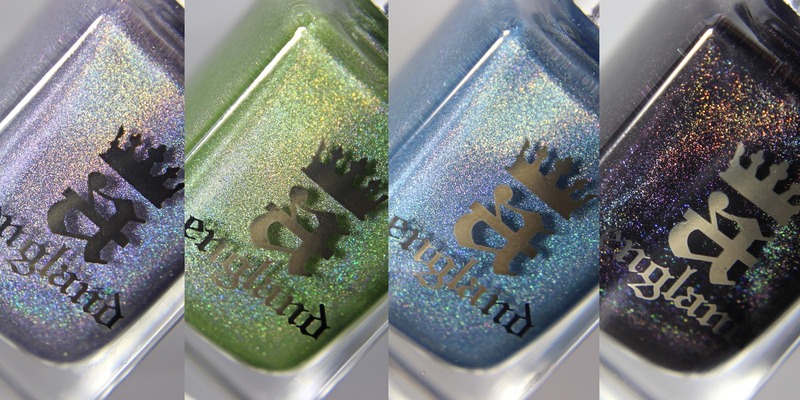 I got the chance to swatch and review the new A-England collection, wich was inspired by a painting by John Singer Sargent, titled as Carnation, Lily, Lily, Rose. We have 4 new shades, three of them are delicate light shades, and the fourth one is an almost black vampy color.